Looking for more bars in Paris? Don’t miss out on getting a copy of our Paris Night Guide where we share a long list of our favorites in the city! Don’t miss out on trying world-renowned French wine on your upcoming trip to Paris! Following this guide of the best wine bars in Paris, and where to go wine tasting in Paris, you will be able to improve your sommelier skills and taste quality French wine while in Paris. This wine bar has a different take on wine tasting. Upon arriving, load a Wine by One card with money which will allow you to go to the different wine machines (much like a soda machine) and try many different types. You can sample many small sips, or many large glasses. If you’re feeling daring, be sure to try their mystery bottle with a question mark on the bottle! For a quaint wine bistro with an impressive food menu, head to Juveniles and try their many French classic wines and traditional dishes. Freddy’s is a great little bustling wine bar in the popular Odeon neighborhood. The staff is also always extremely helpful when you are deciding on which wines to try. Established by Louis XV’s sommelier in the 18th century, these wine cellars are full of history. They have been fully renovated since and opened to the public, where you can now go to taste many wines. They even have an app where you can guide yourself around all the rooms. At the end of the tour, you can opt for a Champagne tasting at the wine bar, and mix your own bottle of wine, for an extra fee. 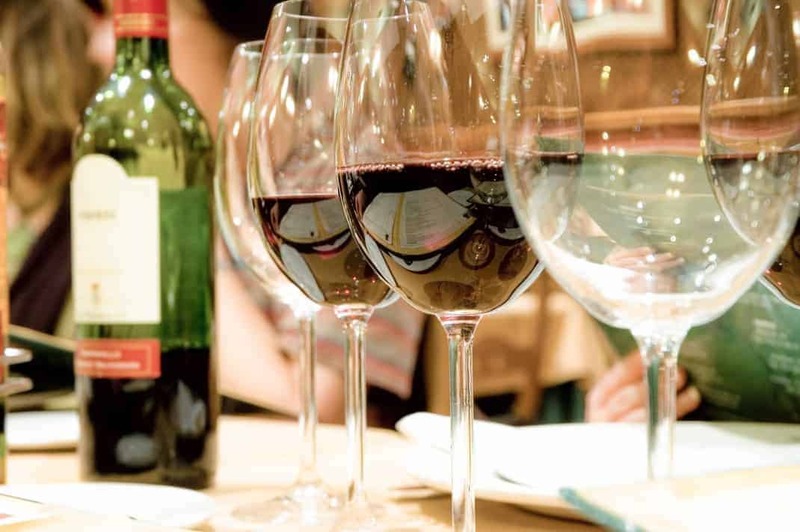 For the most authentic wine tasting experience in France, book through one of INSIDR’s partners VizEat and taste wine at local Parisians’ homes! This tasting experience is the fraction of the cost of other large tasting institutions, and is much more intimate. You can book through the VizEat website. For a tasting course by trained sommeliers in English, have fun and learn bundles about French wine at Ô Chateau’s classes, which are held in their wine cellars. Another great company that offers wine tasting is Localers! Their wine tasting classes are truly unique, full of many wines and even present information about the most distinguished vineyards in the country. Little known to tourists is the rich history of Montmartre and its own working vineyards. These vineyards date back to 390 B.C and every year during the first week of October, the harvest and tradition of this long-standing vineyard is celebrated by locals and tourists alike. Join in on the dancing and celebration if you happen to be in town. This November in Paris, celebrate the arrival of Beaujolais Nouveau with the Parisians at local cafés and bars. “In Bulk” in English, is the name of a shop where you can sample on-site natural wines before purchasing them. The prices of wines here are very reasonable and it is a great place to purchase a memory of Paris from! Bordeaux wines are the most popular and beloved French wines. At La Bordeauxthèque you can choose from over 1,000 labels, solely from the Bordeaux region. The vendor-sommeliers speak many languages (English, Spanish, Chinese to name a few) and can assist your specific wine needs. Within in the trendy eateries of Marché des Enfants-Rouges you will find Bibovino, a shop that sells wine in a box. Their purple wine boxes are from all high-quality and even small-scale producers. Nysa has many locations throughout Paris. They keep things simple- quality wine at reasonable prices.